On Tuesday, March 20th is Spring Equinox – this means the Sun crosses the earth's equator, making day and night of equal length. From this day on, the nights will be shorter and the days longer until Summer Solstice, the longest day of the year (By the way, this applies to the Northern Hemisphere, in the Southern Hemisphere it's Fall Equinox and the other way around!). With the Sun moving into the cardinal sign of Aries, this event officially brings about SPRING. This is when the new astrological year starts and Mother Earth awakens from her winter’s sleep. As nature is reborn, so are we… We see plants sprouting, animals getting excited - we can feel that new inspiration and love is in the air. Out with the old, in with the new. Spring cleaning frees our minds and heals our souls. If you donate, you even make someone else happy! A win - win! Celebrate the beginning of spring with a bonfire in the backyard or in nature, listening to the crackling of the fire and the songs of Mother Earth. In nature, a new year has begun and the fire of Aries brings with it inspiration and courage to pioneer into new fields. What a great time to switch up one’s style and outlook in life. In science, there’s a growing field known as "embodied cognition"—the idea that we think with not only our brains, but with our physical experiences. Including, it seems, the clothes we're wearing.” (read the interesting study here!). This means the way we dress and style our bodies, influences the way we go about our life, the way we make decisions, the way we connect with others. In short, when you change your style, you change your experience of life. Let yourself experiment. By the way, clothing swaps are a fun way to switch your wardrobe without spending anything! This ancient Chinese Way of decorating one’s home or office is amazingly working and if you reflect on it, it makes sense: the goal of Feng Shui is to bring Chi (which is prana/life energy) into the house and let it flow freely through every corner and area (aka bagua). Where there is clutter, Chi gets stuck and the energy flow is disturbed. 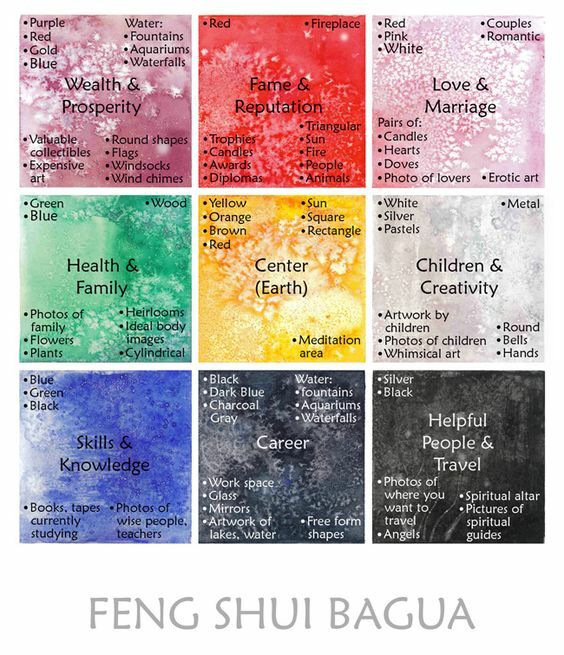 Each bagua is assigned to one area in your life, e.g. South West is love and marriage, North is career, East is health and South East is finances. Wherever you need help in life, declutter and re-decorate that corner in your home with items, colors or shapes that are in harmony with what you want to bring into your life and let the good chi flow! (use a compass - e.g. on your phone - and stand in the center of your home to measure the directions). It’s funny how it works. My husband mentioned a couple years ago that he’d like to play soccer again more regularly. I then placed his soccer ball statue into the career/life direction corner which is North. A few days later a friend contacted him and asked if he wanted to join a league. He happily agreed and they even won the championship! The beginning of spring is a great time to sing, dance or make music! Shake off the old and invite the new into your life. Ground yourself to the Earth. Walk barefoot. Plant something. Dig your hands in soil. Meditate surrounded by nature elementals. Soak in the sun. Feel gratitude for the old year, and excitement for the new to come. Take a few deep breaths. Breathe in stretch your arms into the sky like you’re a tree growing branches. Breathe out shake off the old leaves. Feel roots shooting down from your feet into the ground. Repeat out loud: I AM ROOTED. Now walk around and feel the roots shooting down with every step you take while saying your affirmation. Notice how you feel. Spring Equinox is the beginning of a new year and Aries' energy is all about bringing things to life. Use this time to set intentions of what you are opening yourself up to receive in your life. Creating a vision board is a fun way to visualize your dreams come true. If you're unsure in which direction to go, ask your higher self/spirit guides, use divination tools or order an astrology or tarot reading from a professional for more clarity. Nature asks us to come out of our caves (comfort zone) and welcome new growth and new beginnings. Courageously move ahead and go your own way. 10. Get creative, play and have fun! No matter if you color eggs, go wildcrafting or bake something, Spring Equinox is a time to channel your creative energies into something you love. 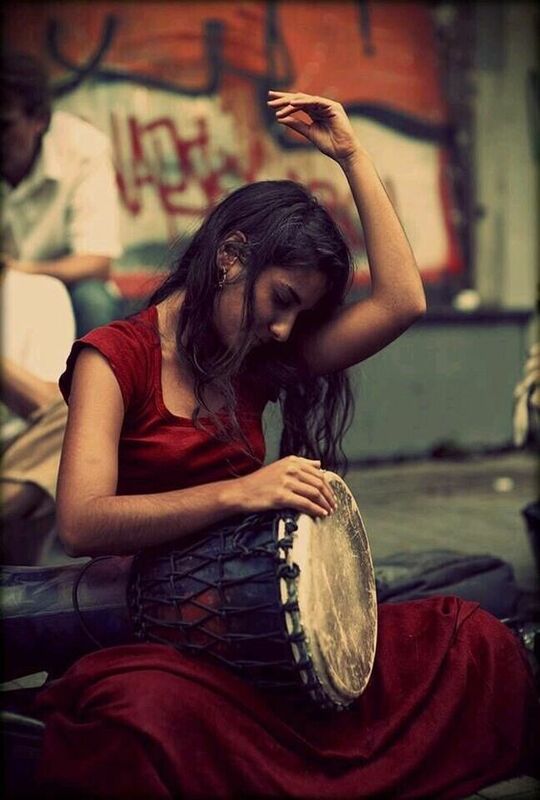 "Life is a musical and you're supposed to sing and dance while the music is being played." I'm wishing you a wonderful Spring Equinox Celebration and a great start into the new astrological year!